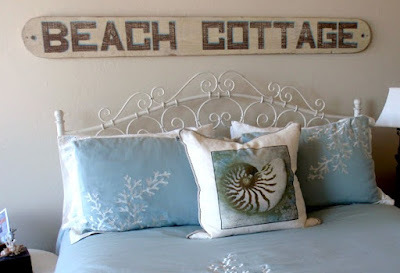 Everything Coastal....: Winter Warm Up - Cozy Beach Bedroom Ideas! 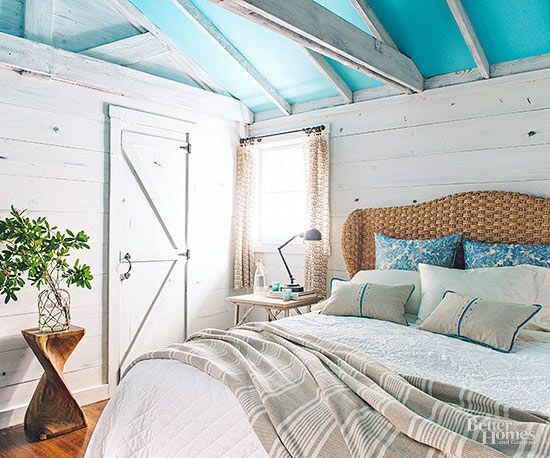 I am staring at my mess of a bedroom.. where to start to create a new cozy, romantic Winter retreat? 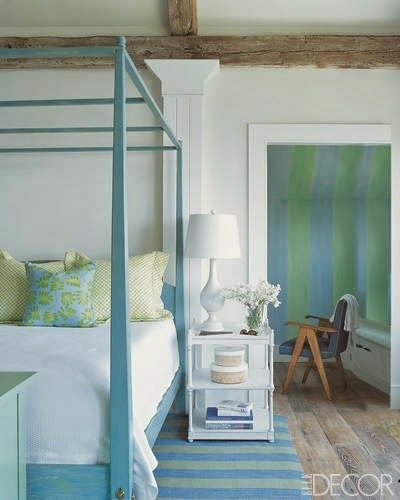 I love my white iron bed, but that's about it right now. 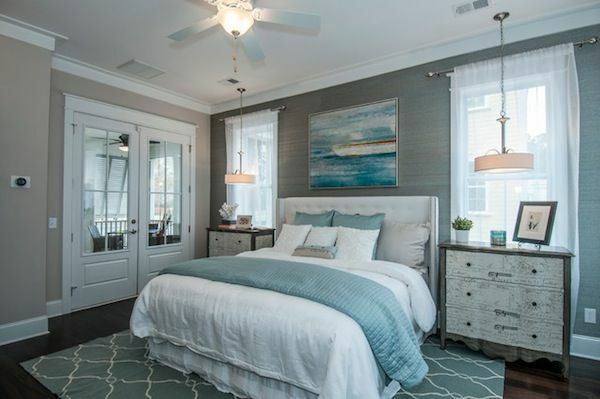 Yes, I am in a "January" kind of mood and want to completely start over with a new bedroom! Always makes me feel better, more rested and and ready for spring. 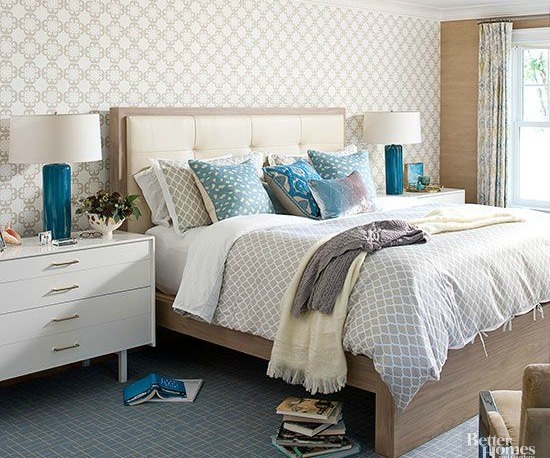 Not sure about you, but my bedroom space is critical to the rest of my day. When I don't get enough rest, everything else becomes more labor intensive and stressful. 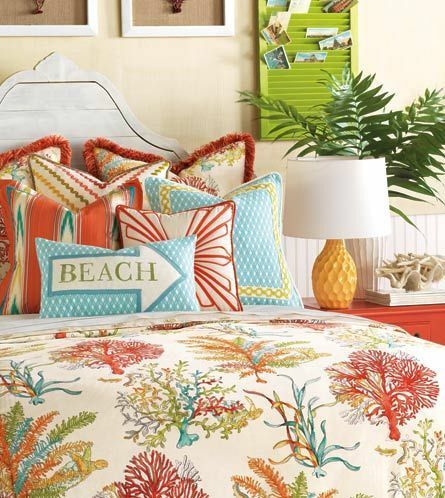 When there is too much "stuff" on my nightstand, on our dresser, or on our floor - it just adds to my stress. Will need a clean slate to start with, then I can start adding back in the elements to make over our room! 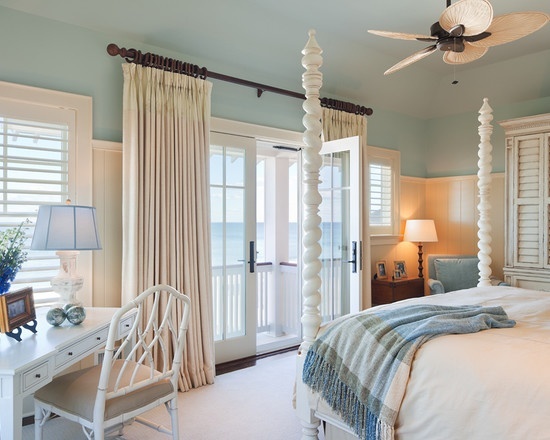 Bedroom lighting doesn't always have be matchy-matchy, or even a table lamp. See what I mean? 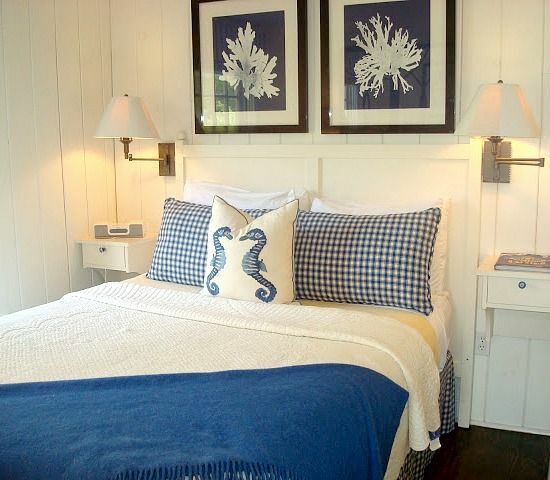 One wall sconce, and one large table lamp - they still "match" with a similar nautical feel and style. 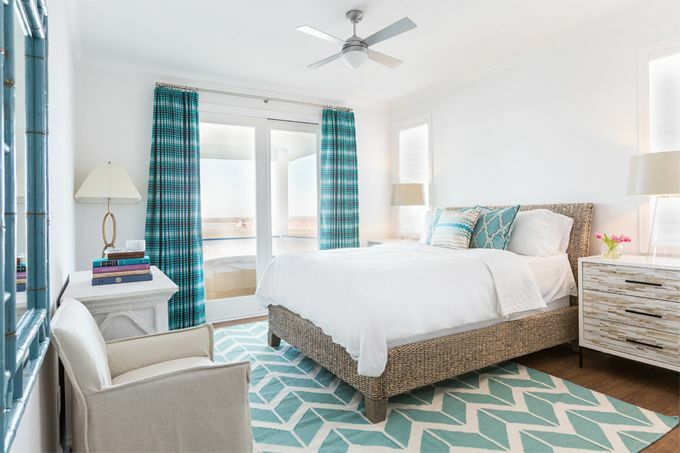 If your furniture is white or neutral, add dramatic glass lamps to give your room the pop of color and light that it needs! 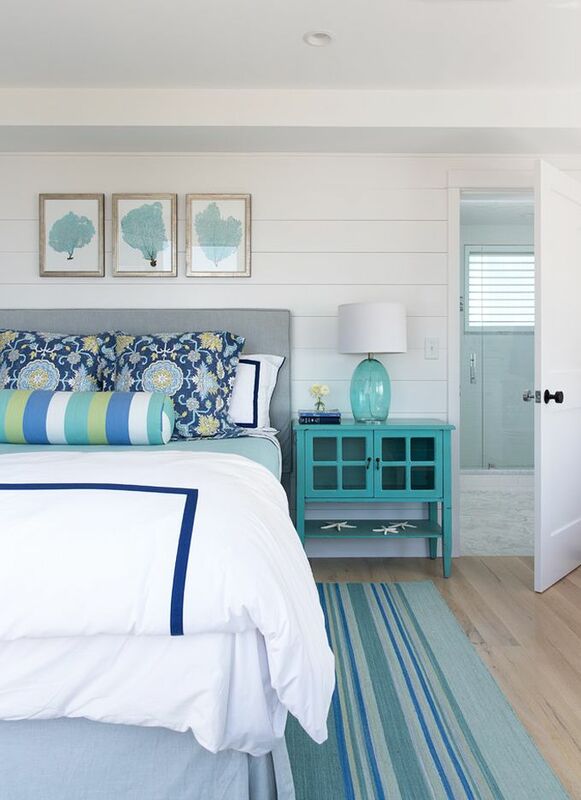 Blue or Aqua lamps fit perfectly into coastal homes, but don't be afraid to think outside the box with bright orange or coral shades too. 4. You can never have enough beach pillows - feel free to pile them on! Use pillows to create texture, color and pops of fun to change with your mood or the season. 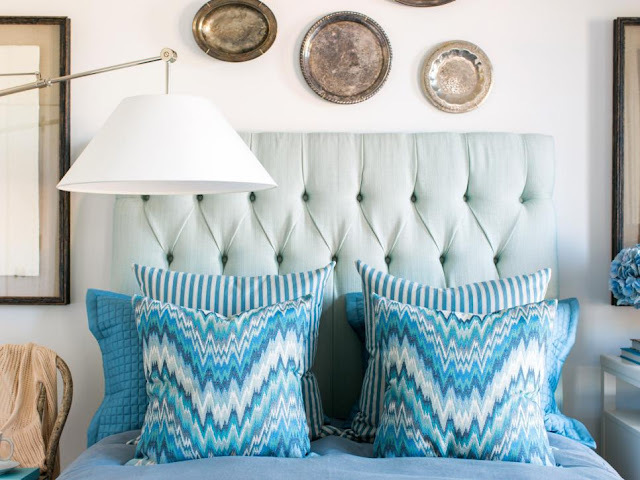 Get creative; check your closet, or think about even switching throw pillows that are currently in your living room. So many blues! 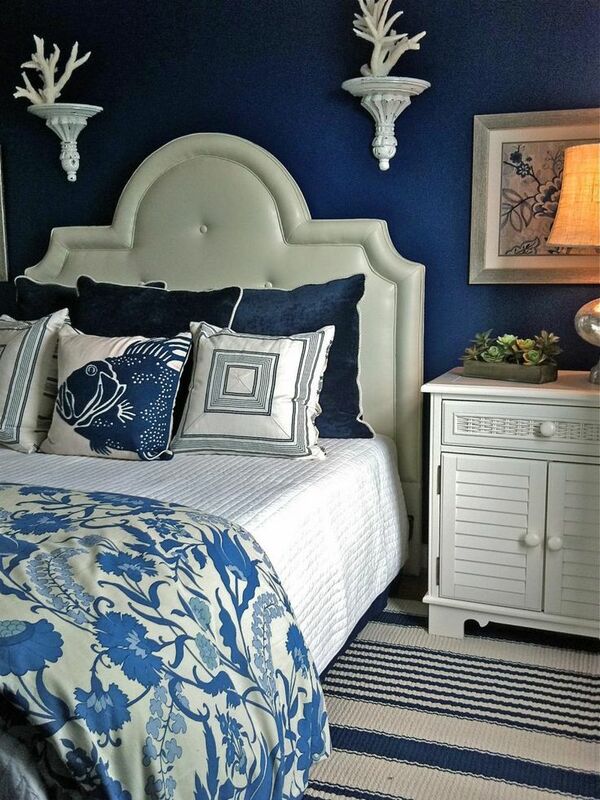 Love the mix of textures, and blue patterned shades that designer Kim Armstrong has created in this HGTV bedroom. 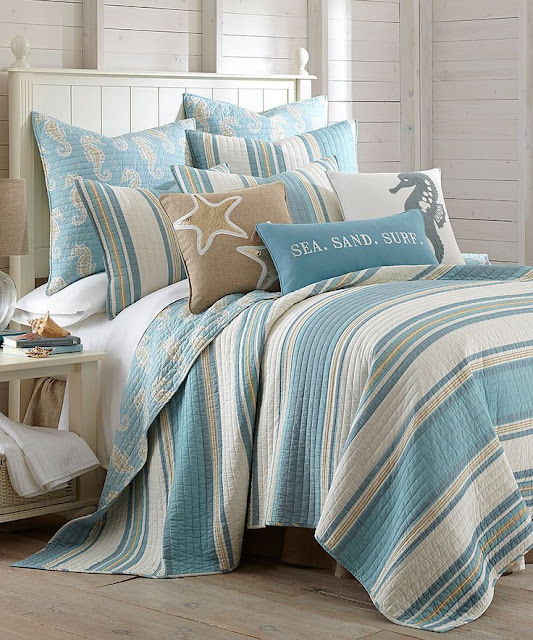 Add throw blankets for cozy warmth, texture and to add the extra touch of romance in your beach bedroom retreat. This is my favorite trick to making our bedroom feel snug and welcoming! 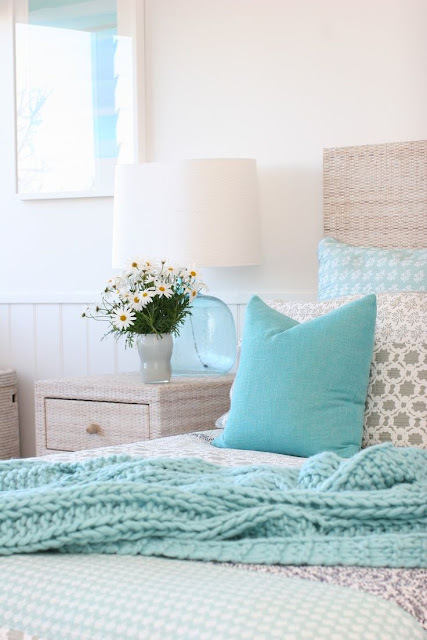 An easy change for seasons; lighten up for summer or use chunky knits for winter. Neutral and calming, the striped throw adds just the right finishing touch. 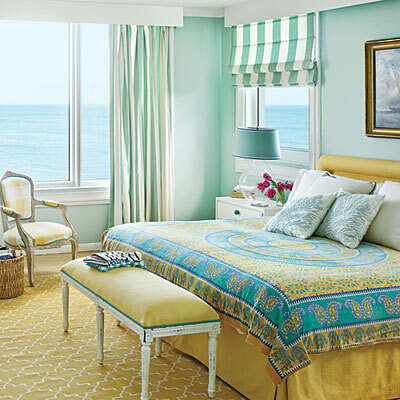 Relaxing with a traditional feel. 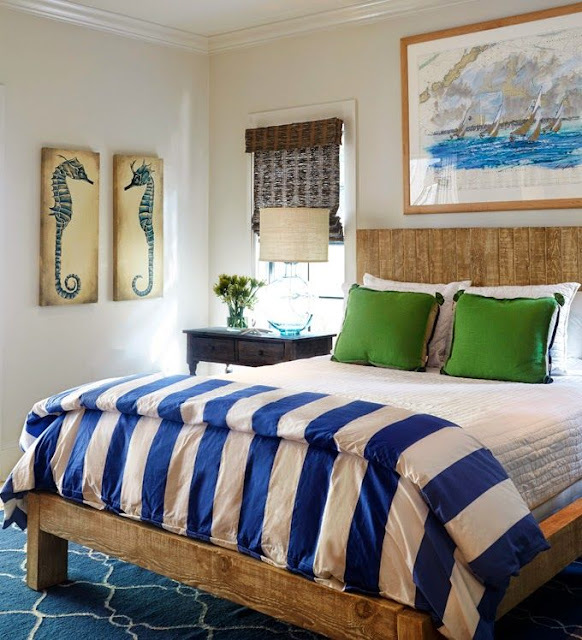 Love the bed! Love the idea of a Herringbone knit pattern to bring a sense of "coastal modern"! 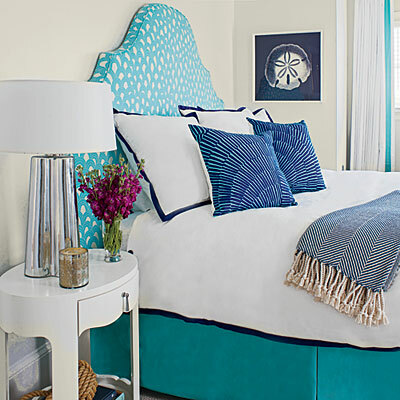 Use a throw to pull all of the other colors in your room together - a great finish!